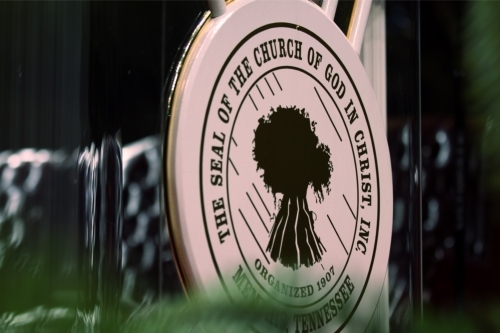 The Church Of God In Christ is a Christian denomination that is a historically African-American Pentecostal church. Over the past 25 years COGIC has seen its membership base become increasingly multicultural and multinational adhering to the command of Christ to preach the gospel to all nations and all people. COGIC is the largest African-American Pentecostal denomination in the United States and the fourth largest Protestant denomination in North America. COGIC was founded in 1907 by Bishop Charles Harrison Mason. COGIC has over 12,000 churches in the United States with nearly 6.5 million members in 60 nations on five continents including Jamaica, Cuba, Mexico, Belize, Brazil, Chile, Argentina, United Kingdom, South Africa, Liberia, Nigeria, Germany, Pakistan, India, Japan, South Korea, and Australia. The Church is governed by three separate bodies: General Assembly, Executive Branch (General Board) and Judiciary Board. The Church is led by Presiding Bishop Charles E. Blake, Sr.
COGIC world headquarters are in Memphis, TN. The headquarters are housed in historic Mason Temple the location where the late Dr. Martin Luther King, Jr. delivered his â€œMountaintopâ€ Speech on the eve of his assassination on April 3, 1968. In 2007, the church celebrated a milestone when they convened for the 100th Holy Convocation.Â An estimated 70,000 COGIC Saints met in Memphis, TN to observe this centennial celebration. New Day! New Season! New Department! Are you registered? Join us at the 108th Holy Convocation! 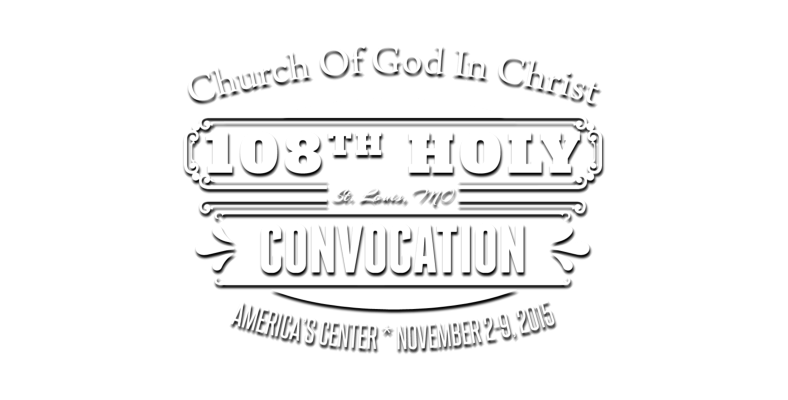 Welcome to the official Church Of God In Christ 108th Holy Convocation website. If you need to contact us, please use the details below.